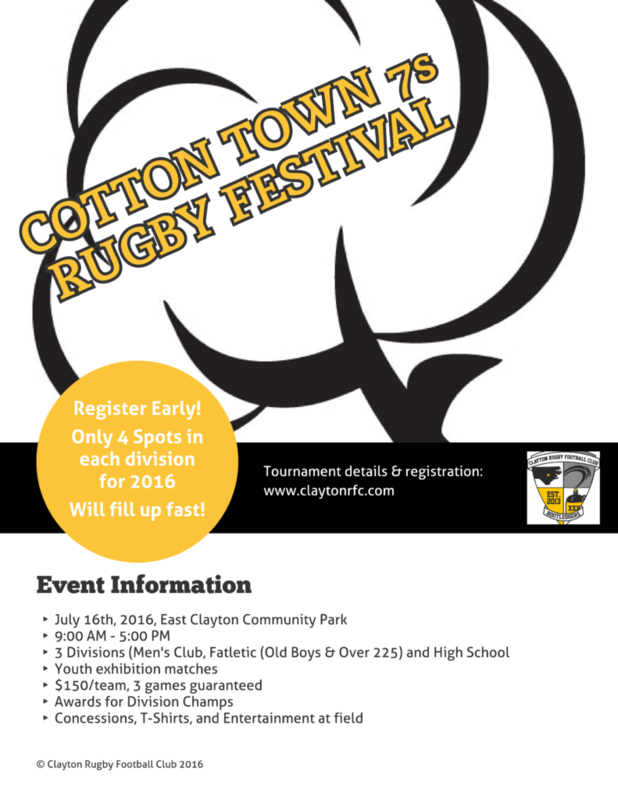 CLAYTON, NC – The Clayton Rugby Football Club is excited to announce that they are going to host the 1st Annual Cotton Town 7s Rugby Festival at East Clayton Community Park on Saturday July 16th, 2016. The event is set to be a celebration of rugby with players of all ages hitting the pitch for a fun and entertaining day of rugby. The tournament name is a nod to the fact that Clayton was a major cotton market in the early 1900’s and the production of cotton was a major driver of the town’s economy. There will be concessions, vendors, and entertainment on hand to complement the rugby and as a way to keep fans engaged throughout the day. Tournament Divisions include Men’s Club, High School, and the Whole Hog which is expected to be a fan favorite. The Whole Hog Division is for players 35 & over and/or weighing more than 225lbs. 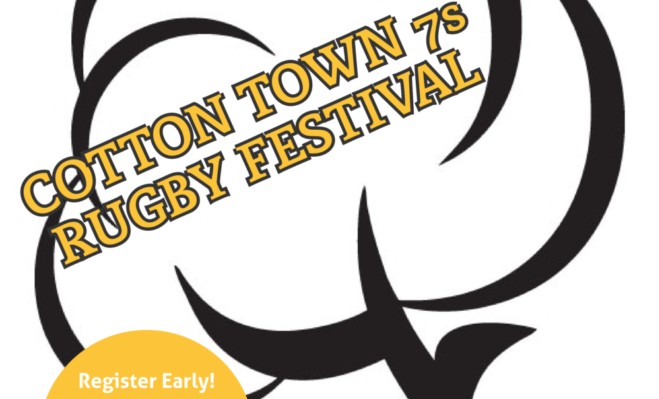 Rugby 7s is often associated with younger and faster athletes, so this division provides a little something for forwards and Old Boys whom would not normally play 7s. 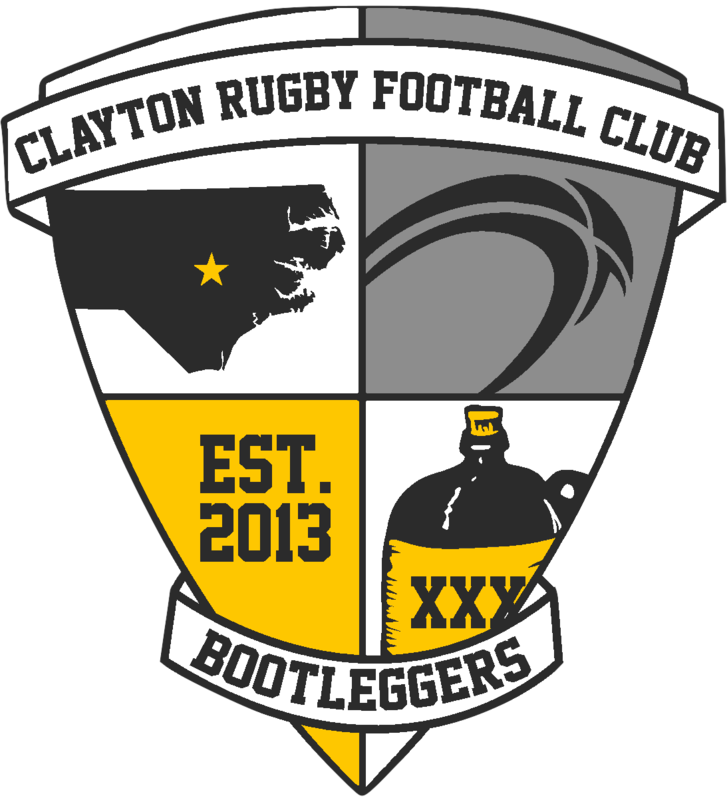 The Clayton RFC hosted their first tournament last year when they broke the seal on the Bootlegger 10s, which is soon to have a date announcement for 2016. The club had planned to launch a 7s tournament at some point in the future and decided at their May Board Meeting that the time is now. In the first year of operation, club officials have decided to keep the tournament registration low. Each of the three divisions will only accept four teams apiece. Clubs interested in registering are encouraged to register as soon as possible. With only four spaces open in each division, the slots are expected to fill up fast.